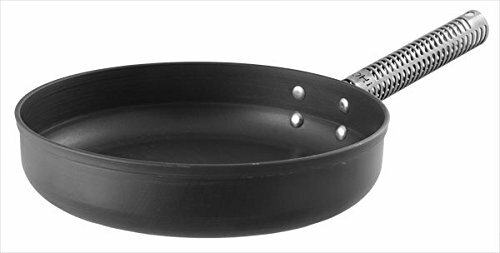 2-Quart 10 Inch Saute Pan An ideal size pan. Pans have a wide bottom area for maximum heat conduction. Straight sides help contain food and expose all sides to heat. Patent Pending Cool Grip Handle. Hard Anodized, Made From High-Strength Aluminum. Exceptional Durability PTFE Free, Water-Based Release Coating: Gem-X2. Fast Cooking, Easy Clean Up. Heat Safe to 700 Degrees F. --------10 Inch Glass Lid available separately. If you have any questions about this product by LloydPans Kitchenware, contact us by completing and submitting the form below. If you are looking for a specif part number, please include it with your message.